2016 marks the tenth anniversary of Collabo, as East London Dance once again hands over programming duties to maverick choreographer and Avant Garde Dance Artistic Director, Tony Adigun for an explosive programme of original performances. Collabo will take over Stratford Circus Arts Centre (10 – 12 Nov) as Adigun pairs up some of the UK’s leading hip hop artists to create innovative dance collaborations, and challenges multiple artists to create unique interpretations to a single soundtrack. To celebrate this milestone year, Adigun will invite back some of the most popular performers from the decade-long history of Collabo, including Sky’s Got to Dance 2013 winner, Lukas McFarlane and his company UnTitled Dance Company as well as IMD Legion, Program 68 and krump collective Rugged Estate. 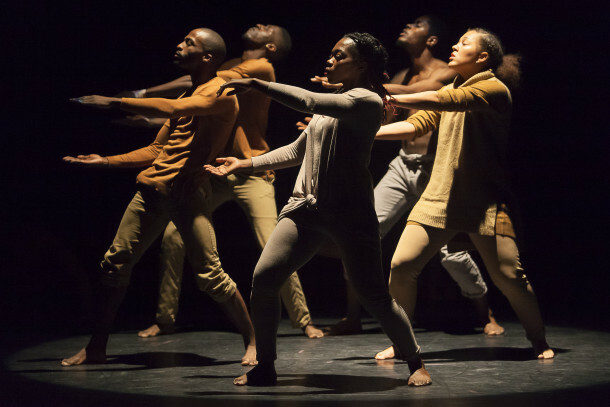 On Thursday evening, the programme will feature a special selection of past Collabo highlights from Avant Garde Dance, all handpicked by Adigun to celebrate the company’s 15th anniversary. This year’s collaboration (collabo) highlights include Just Us Dance Theatre (previously commissioned by Richard Alston Dance Company amongst others) performing a brand new collabo with New Movementz (producers of the UK’s biggest under 18s Dance Battle) and up-and-coming choreographers Tyrone Isaac-Stuart (Blue Boy Entertainment) and Saskia Horton (ZooNation Dance Company) will also team up. As in previous years, Adigun will challenge a clutch of artists to create their own unique dance interpretation to a hand-picked music track. As this celebratory programme is both retrospective and forward-looking, 2016’s interpretation track is a flashback to a classic Collabo 2011 remix from producer and DJ Mikey J. Championship-winning Unity UK (ITV’s Britain’s Got Talent, Sky’s Got to Dance) will return to present their jaw-dropping 2011 interpretation. For the first time in Collabo’s history, Adigun and East London Dance are inviting dance fans everywhere join the challenge online online by creating and uploading their own dance interpretation to the music track, with the winner to perform live at Collabo.